Andrews Air Conditioning recently carried out works to The Valley’s North Stand function suite with the installation of the latest energy-saving heating and cooling equipment and the refurbishment and upgrade of the existing air handling plant – enhancing the matchday experience for supporters. Our client required a fixed climate control solution to replace their original equipment which had been there since the North Stand was expanded in May 2001. This system had served the main function room and was used on match days and also for corporate events. We look forward to continuing to working alongside Charlton for a number of years and that the works upgrade will prove to be popular and effective for a number of years and can play its part in the club having a successful season on and off the pitch. At Andrews Air Conditioning, we understand the importance of providing a comfortable environment for all members of staff when seasonal temperatures begin to rise. So, when a central London hospital began moving staff into new office space within the building, they sought a permanent cooling solution and contacted us accordingly. Our client was under pressure to have the installation complete before moving employees into the room, leaving our expert technicians with only a week to recommend the most appropriate equipment and carry out the installation. Despite receiving the urgent enquiry at short notice, an Andrews engineer was able to visit the premises and propose the deployment of two Mitsubishi wall-mounted air conditioning units, which would be more than adequate for reducing the overall temperatures in the room. Once commissioned, the client was extremely pleased with the efficiency of the cooling system as well as the professionalism of our own staff. In fact, the client actually went out of their way to contact us and leave a positive testimony referencing how happy people in the department are with their new air conditioning system! People in offices up and down the country have their personal pet hates, whether it’s listening to their co-walkers talk excessively, noisy eaters or any other everyday workplace frustration. But a recently commissioned study has uncovered an extremely prevalent gripe among those working in an office environment – the temperature. It has also been established that these so-called distractions cost companies an average of 22 minutes per day for every member of staff, proving that external factors can harm productivity. Of the 1,000 people asked, an overwhelming majority of 82% admitted that becoming too hot or cold at work was a constant grievance. With summer now imminent, the stats suggest there is a good chance that your employees might be slowed down further by seasonal heat – although this is very avoidable! To discuss the benefits of a fixed air conditioning system, or for a better understanding of how we can help you, call us today on 0800 731 88 33. The “greatest show on Earth” is starting to hot up in Brazil, with millions of people around the globe now casting their attention towards the track and field events. A lot has been made in the media about the adequacy of various venues ahead of the competition, but most people are also guilty of overlooking the potential impact the country’s notorious climate may have on proceedings. Although you would be correct to assume that hot weather will cause long-distance runners to complete races more slowly, many will be surprised to discover the extent to which this is true. Did you know that every 5°F rise in temperatures above 60°F can lead to the average marathon runner losing speed by as much as 30 seconds per mile? Every type of race has its own exclusive optimal temperature which will vary according to distance and location. 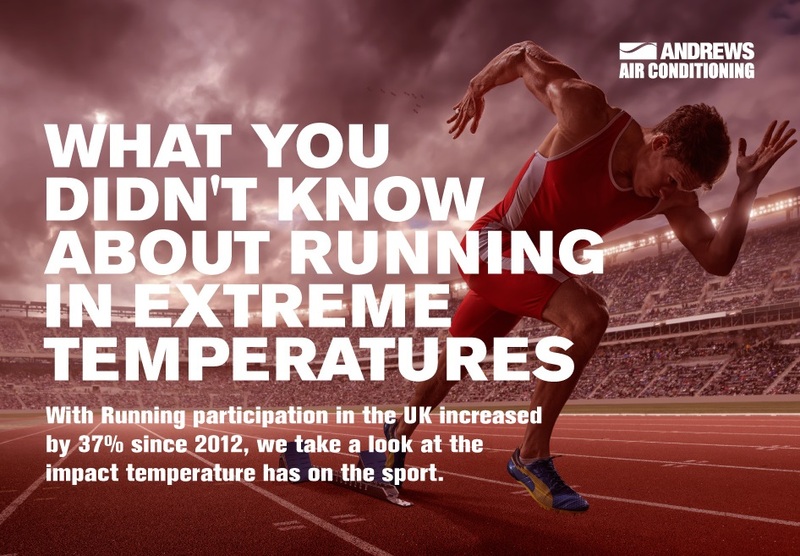 To highlight the effect climatic factors can have on an athlete’s performance, we at Andrews Air Conditioning have produced an infographic (see below) which highlights the perfect conditions for each individual event. Using the mean qualifying times of a broad array of competitors, we have been able to analyse the ideal temperature for sprinters, middle-distance and long-distance runners. Unsurprisingly, there is a conclusive link between “peak conditions” being cooler the further you run. The above graphic summarises that there is roughly a 15°C difference between that of the 100m sprint and a full 26.2 mile marathon. The material therefore adds a different dynamic to those attempting to predict the outcome of a particular contest – not to mention for those actually taking part! Day-time temperatures in Rio are expected to range between 24°C and 31°C over the coming week, with our research suggesting that his will be more conducive to a sprint race. In theory, then, the likes of Usain Bolt and Justin Gatlin should be well-equipped to set a sizzling pace when they step foot on the track, although it remains to be seen whether that will be the case! Is your air conditioning system ready for operation? With summer fast approaching, now is the time to ensure your air conditioning is fully prepared for the changing seasons. 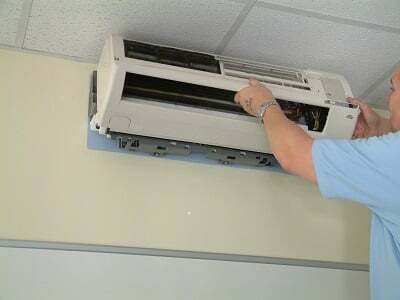 If you only need your air conditioning for summer cooling then it has probably not been used for several months. During this period of inactivity condensation and dust may have accumulated on fans, filters and heat exchanger coils. This can often become a breeding ground for bacteria which creates sludge and unpleasant odours. If you also use your air conditioning to provide winter heating, it has probably collected lots of dirt and grime during that period. The colder conditions, even in relatively mild winters, encourage us to keep windows and other ventilation tightly closed. This reduces the amount of fresh air entering your building, leading to higher concentrations of dust and other airborne pollutants. Air conditioning works by recirculating air within the internal space, progressively cooling or heating it in accordance with user-controlled settings. Therefore, any fine particles being carried by the air will naturally end up in the filters, fans and fins of your air conditioning. Not only does this dirt, dust and fluff harbour bacteria and reduce airflow by clogging your system, it also prevents the efficient transfer of heat between the air and the refrigerant within heat exchanger coils. This increases running times, energy consumption and wear and tear – all of which ultimately cost you money. In addition to thorough cleaning, now is also a good time to get the batteries in your remote controllers checked out, ensure the refrigerant charge is as it should be (repairing any leaks is a legal obligation) and to test thermostats and other controls to make sure they’re working efficiently. One important and often-overlooked element of your air conditioning is the system of drains and pumps which deal with the moisture inevitably extracted from the air as it cools. Leaking condensate lines, trays and pumps are among the most common causes of air conditioning-related problems and often result in expensive damage to ceilings, floors and furnishings. Annually-required air conditioning applications such as server rooms and IT suites put even greater pressure on your systems, and they are often also the very places where a breakdown would be most inconvenient. So if it’s some time since your air conditioning was last serviced, why not treat it to a spring clean from Andrews Air Conditioning? We’ll eliminate bacteria, neutralise any odours and give your system a thorough inspection for reliability and energy efficiency. 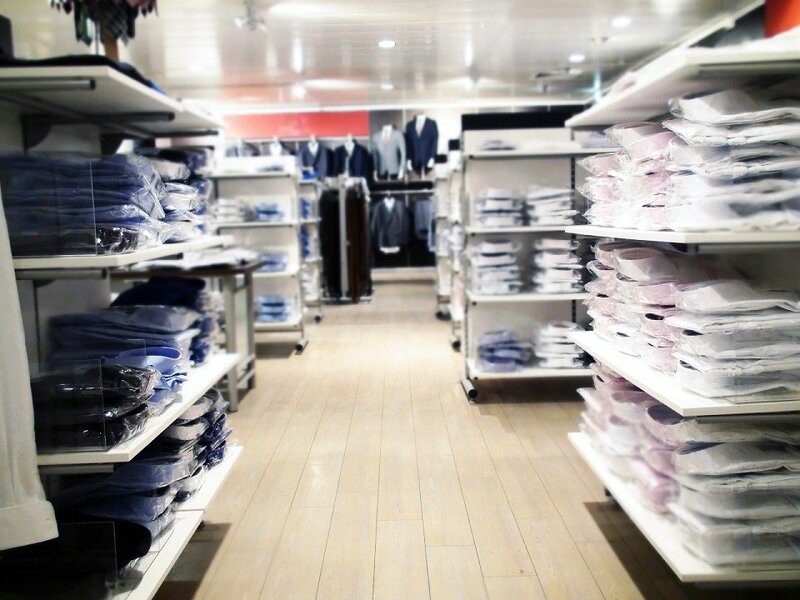 Before a new retail store could be opened near Camden, North London, a permanent air conditioning system was required to ensure customers and staff remained comfortable while on the premises. The shop itself was spread over two separate floors and was accompanied by several offices within the same building. It was therefore essential that an appropriate cooling arrangement was sourced – one that could cater for the comfort of occupants in two separate working environments. The client outlined a number of rooms that would require heating and cooling equipment, and these were taken into consideration by the Andrews Air Conditioning specialist while a free site survey was conducted. After assessing the area’s specifications – and taking into account a number of confined spots that would restrict the positioning of condensing units – we proposed a suitable solution comprising of single, twin and triple split Daikin units. These provided the best air conditioning solution in this particular application and were preferred to conventional VRV models because of space restrictions. The products we recommended provide end users with energy-efficient comfort cooling without the costs of selecting unnecessarily sophisticated technology. Despite our client experiencing unrelated issues on their site, a team of Andrews experts were able to complete the installation well before the agreed deadline. They are now the beneficiary of one of the industry’s most advanced air conditioning schemes, providing accurate climate control all year round. The expansion of a building requires a number of logistical factors to be considered – including the installation of additional air conditioning equipment to ensure a greater cooling capacity is provided. 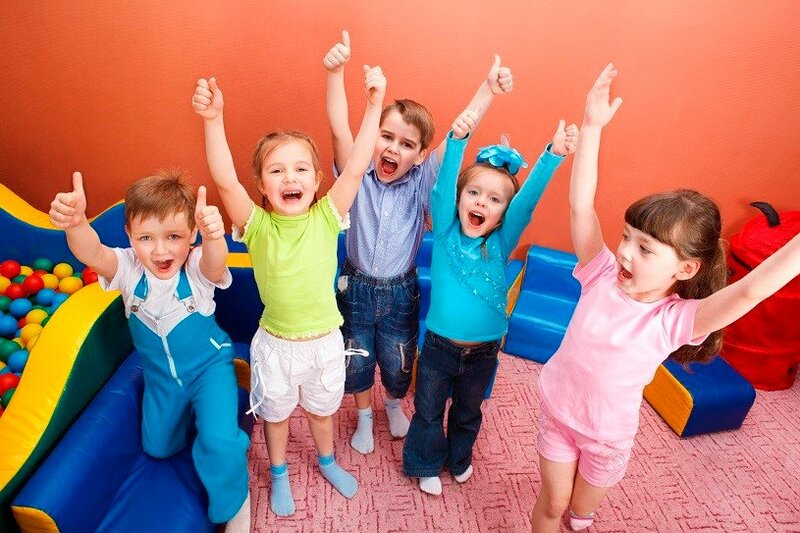 So when a children’s nursery in Berkshire opted to increase the size of their existing premises rather than relocate to a new site, Andrews Air Conditioning were contacted to help make the transition as smooth as possible. As the original supplier of cooling services prior to the development, we were asked to recommend an appropriate arrangement that would cater for an extended ground floor as well as private offices directly above. By assessing the application once renovation was complete, we were able to gain an excellent understanding of its future requirements and thus recommended a suitable classification accordingly. A Mitsubishi Variable Refrigerant Flow (VRF) system was duly selected because of its seasonal energy efficiency, low operational costs and greatly curbed CO2 emissions. The indoor units used were a combination of Toshiba Cassettes and high wall models – both of which offer high performance and unobtrusive climate control without excessive power consumption. Our technicians liaised directly with both the building management company and the client in charge, with both agreeing that the installation proposed was the best course of action. 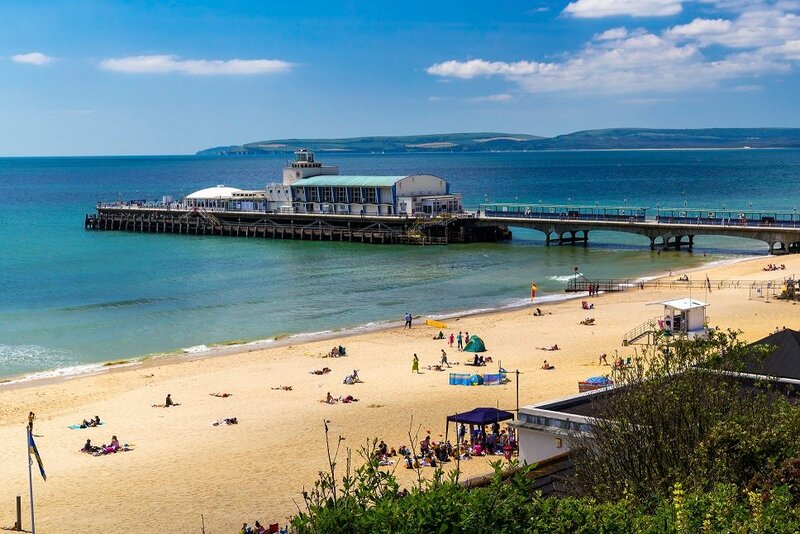 When a Sussex-based local authority sought a permanent air conditioning system for their offices and meeting rooms, Andrews were contacted and asked to put forward the best solution available. The initial phase involved a regional technician meeting with the client and their planning officer to help ascertain the most appropriate place for condensers and pipework to be located. Cooling and heating equipment was required on two separate floors but because of the type of building, would have to be installed towards the rear of the property away from public access. This therefore meant that all pipework would have to pass through a part of the building not owned by the council, making the assignment slightly more challenging than usual. 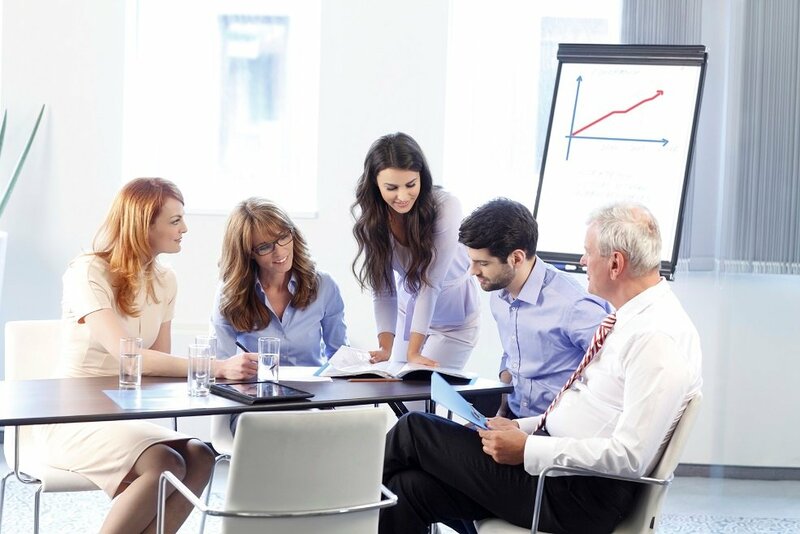 Having assessed the particular needs of the customer, it was decided that a series of Toshiba Cassette units would represent the best course of action. These models are unobtrusive and adaptable to their surroundings, offering high performance climate control without excessive power consumption. Once agreed by the client, we fitted a number of the air conditioning units to existing pipework and had the entire classification operational ahead of the opening consultation date – exceeding customer expectations. This proposal ensured full compliance with all R22 and R407 legislation and provides a two-storey workplace with modern heating and cooling technology. Before a major cooperative in the construction industry could handover buildings to a British retail firm, it was important that all air conditioning systems containing the R22 refrigerant were identified and changed. Our customer required us to decommission all units breaching EU laws and switch them with R417A systems instead. A plan was therefore put into place and involved a series of site surveys conducted across the client’s various properties – helping us determine the condition of all existing cooling equipment. Reports were then produced by an Andrews expert who outlined the findings along with recommendations and a scheduled plan of action. Due to stringent F-Gas regulations we had to ensure all information pertaining to refrigerant units was logged correctly prior to being presented to the customer. This included the quantity of R22 removed, the quantity of R417A added and confirmation that pipework had passed a strength assessment. Contractual obligations stipulated that an agreed end date would have to be adhered to while ensuring compliance with EU legislation. It was the client’s decision to apply best practice with regards to the R22 refrigerants on site. Although a short-term solution, this approach removed all R22 from their air conditioning systems and left systems operational whilst capital expenditure was sourced for future replacements. The work was completed on time and without deviating from the original blueprint, enabling a client handover pack to be issued alongside details of the project itself. 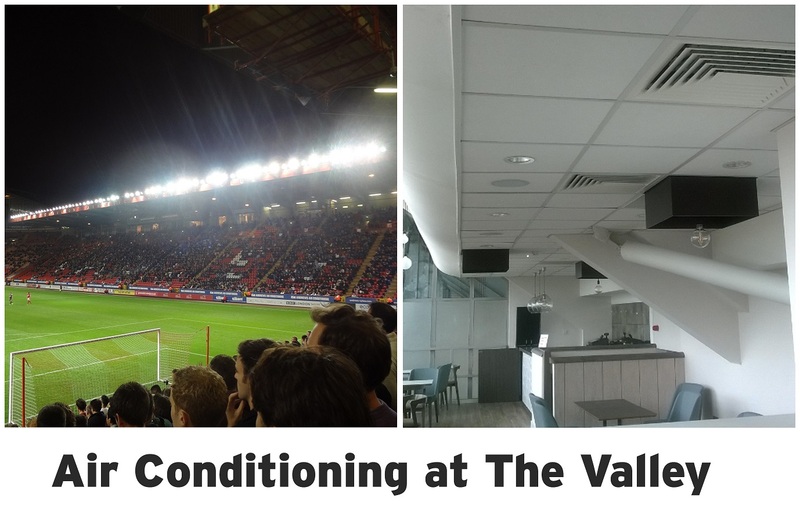 The summer of 2015 saw Andrews Air Conditioning undertake a complete replacement of ageing R22 air conditioning systems within The Valley’s West Stand for Charlton Athletic Football Club. Having gradually deteriorated over many years of use, Charlton decided to replace their outdated systems with modern alternatives in order to benefit from greater efficiency, lower running costs and enhanced environmental credentials. In order to provide the most cost-effective solution, we liaised directly with the client and their professional advisors as well as analysing the diverse applications including hospitality suites, office space and dining areas. A series of Mitsubishi Electric VRV ‘above-ceiling’ units was selected in conjunction with heat recovery ventilation to temper incoming air. This improved overall energy-efficiency and provided individual room control for heating and cooling, coupled to a centralised master controller. Prior to the changeover, our technicians safely removed all existing, ageing air conditioning units. The replacement equipment was then installed in its place, offering occupants a cheaper, flexible and more dependable alternative to the original arrangement. Our understanding of the football club’s day-to-day operations enabled us to deliver a viable solution in the face of an extremely tight time schedule. Consequently, we are able to announce that the stadium’s premier stand is now equipped with high quality, environmentally responsible air conditioning – offering a far greater level of cooling than was previously available. Future adaptations can also be made should the required capacities change, underlining our commitment to providing long-term, sustainable solutions.